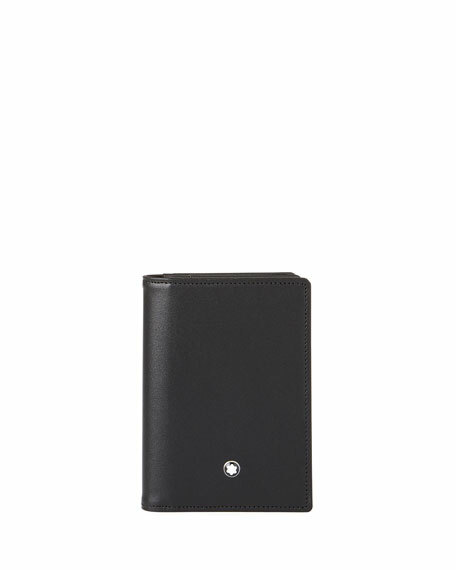 Montblanc business card holder in full-grain leather. dunhill grained calfskin card case, from the Cadogan Collection. Silvertone logo stud in corner. 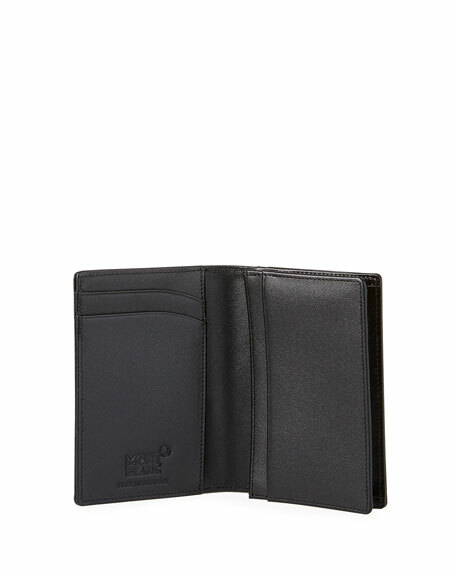 One compartment; four card slots; two slip pockets. 4.5"H x 3"W x 0.5"D. Made in Italy.